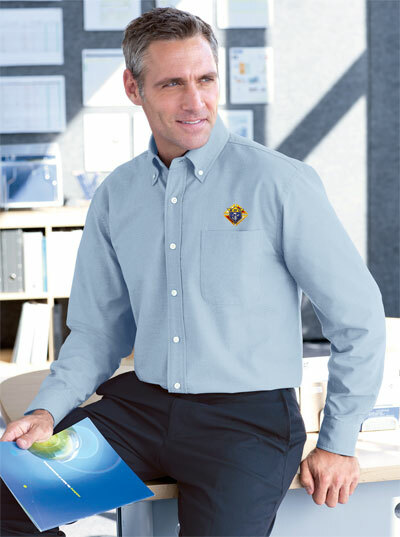 K of C Executive Performance Oxford Shirt...Outstanding quality you can trust! 85% cotton/15% polyester blend- wrinkle and stain resistant fabric- left chest pocket. Available Sizes: M, L, XL, 2XL, 3XL and 4XL. Color: Light Blue. Embroidered with the emblem of the order in full color. *Size 3XL- $6.00 Additional. *Size 4XL- $14.00 Additional.